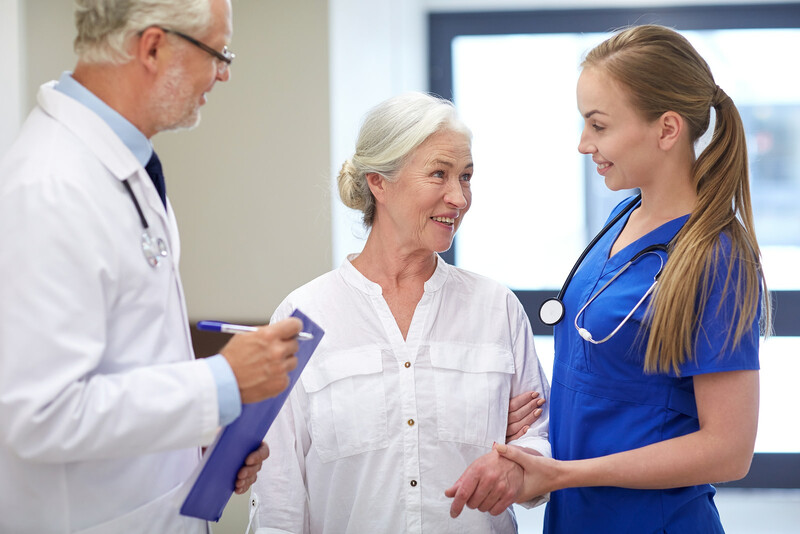 The nursing profession is expected to experience a rapid rate of growth over the next decade in response to the rising healthcare needs of the aging baby boomer generation. According to the U.S. Bureau of Labor Statistics, the 22 percent employment rate will continue into the next decade, which will result in the addition of another half a million registered nurses to the workforce. The projected figures do not include vacancies left by nurses who retire from their current positions. The above average growth in the sector means it’s an excellent time to become a nurse in a field that offers job stability, pay increases, and opportunities for advancement. Nurses make a profound difference in the lives of patients and their families. The boon in the industry will attract a lot of job seekers looking to escape the dearth in other sectors. However, nursing is more than a profession. A good nurse contributes to an organization’s success but more so to the mental and physical well-being of patients. Educational preparation is critical, but traits, such as compassion, empathy, patience, and respect, set the foundation for the learned skills and competencies. The BSN degree curriculum is designed to help students develop the communication and critical thinking skills and professional judgment they’ll need to succeed as registered nurses. Technology is a major part of nursing today, so students will also become familiar with the digital technology that makes nursing easier and more efficient. In light of the expanding role of nurses, the shift toward nursing in non-traditional settings, and the incorporation of technology into all aspects of practice, it would be wise for prospective nurses to enroll in a BSN program instead of the limiting ADN option. The Institute of Medicine supports the BSN as the minimum education preparation for all nurses as it prepares them for care in the complex healthcare environment and improves patient outcome. The Arizona Board of Nursing accepts and issues registered nursing licenses to nurses with an associate’s degree in nursing. The entry-level degree remains the most common entry-point into the profession. However, in light of employer preferences, prospective nurses can improve their career outlook with a BSN degree. There are several universities and colleges in Arizona accepting enrollment for the BSN program. A program approved by the Arizona State Board of Nursing does not mean automatic accreditation from a nationally accrediting body. Verify that the program is accredited by the Accreditation Commission for Education in Nursing (ACEN) and the Commission on Collegiate Nursing Education (CCNE) if you need federal funding or state grants or plan to pursue further study at a nationally accredited school. Also, check the program’s delivery format, faculty, curriculum, and student requirements to determine if they align with your goals. There are several ways of earning a BSN degree. If you’re new to the nursing profession, you’ll most likely use the direct entry route and complete the general education requirements before commencing upper-level nursing courses. There are some other entry points outlined below. LPN to BSN: Licensed practical nurses with a diploma in nursing can use the credits earned in an accredited program to gain advanced placement in a bachelor’s program. The school may accept general education and some nursing courses based on an evaluation of the content, student grade, and date earned. Credits are usually transferable within a 5 to 7 year period. RN to BSN: Registered nurses have the education and clinical experience that qualifies them for advanced placement in a BSN program. By transferring 60 or more credits, the students can complete the BSN program with online study and clinical practice in community facilities. Qualifying students can get right to the upper-level nursing courses and earn a BSN degree in 12 to 18 months. All transferred credits must be from an accredited program and earned within a specified period before applying for the BSN. The registered nurse student must maintain an active, unencumbered licensed throughout the program. Traditional BSN: Candidates with no prior college education and no nursing experience or education will use the traditional BSN to prepare for a career in nursing. The curriculum covers general education courses as well as nursing courses introduced in the second or third year of college. The BSN requirements take 3 to 4 years to complete based on full-time attendance. Fast-track BSN: Professionals in other fields drawn to the promise of a rewarding career and excellent compensation in the nursing sector can enroll in the fast-track BSN. The curriculum is specifically designed for persons with a bachelor’s degree in another field who can transfer the general education courses and commence classes in the sequential nursing courses. To be eligible for transfer, the courses must be earned from an accredited institution. Fast-track BSN students can complete the program in 1 to 2 years. All graduates (with the exception of RN-to-BSN graduates) must take the NCELX-RN to practice as a registered nurse in Arizona. The BSN curriculum prepares students for professional practice that will require them to assess, plan, implement, and evaluate nursing care within various clinical settings, including nursing homes, hospitals, clinics, physicians’ offices, and community health centers. Over the period of 2 to 4 years, students will complete lower and upper division general education and nursing coursework. The nursing courses will incorporate lectures in the classroom as well as practical activities in the lab and real-world clinical experiences at approved medical facilities. Students will benefit from exposure to the issues nurses face daily as they develop the competencies for safe and effective patient care across the health care continuum. Courses in health care assessment, introductory nursing, adult health, obstetrical nursing, pediatric nursing, community health nursing, healthcare law and ethics, pharmacology, information technology, healthcare law and ethics, and leadership will provide students with a strong foundation in nursing theory and applications. During the clinical rotations, students will have the opportunity to work closely with patients, doctors, and nurses and benefit from the first-hand look at the profession. The following list is based on a compilation of enrollment requirements from the University of Arizona and Northern Arizona University. For specific requirements, check the school’s website. Submit a completed application to the school of nursing. Pass an interview with admissions personnel. Students accepted on a provisional basis will need to complete a criminal history check, TB test, and drug screen, and complete CPR for healthcare providers. Prerequisite course requirements may include first-year composition, general chemistry and lab, statistics, nutrition, lifespan development, microbiology, human anatomy and physiology, and biology. Second-degree students choose nursing for a number of reasons. Some may experience a call to the profession while others seek to capitalize on the explosive growth of the industry. Successful graduates are eligible to take the NCLEX-RN for licensure as a registered nurse. Candidates for the fast-track (second-degree) program must have a non-nursing degree from an accredited school. The admissions department will receive the official transcripts and grant credit for the general education courses, which will place the student in advanced standing. Students can complete the BSN degree requirements in 3 to 4 semesters of full-time enrollment. Demonstrations and hands-on practice in the lab will prepare students for supervised practical experiences in a partner healthcare facility. The clinical experiences provide a first-hand look at the challenges and rewards of nursing and the skills and competencies required to work as part of an interdisciplinary healthcare team. Second-degree students must be prepared for the nursing curriculum, which is unlike other degrees. After completing the foundational nursing courses, students will dive right into upper division courses in epidemiology, community health, psychology, mental health, family nursing, pediatric nursing, pharmacology, geriatric nursing, medical-surgical nursing, childbearing, and leadership and management. Requirements for entry will be similar to entry requirements for the traditional BSN program. The candidate will need to secure admission as a degree-seeking student and possess a bachelor’s degree in a non-nursing discipline from an accredited institute. A mandatory information session will provide further details on the requirements for enrollment and expectations for students. Before practicing at a clinical site, students must obtain criminal background and TB clearance and pass a drug screen. Immunization, a physical exam, and CPR certification are some other requirements for clinical practice. Whether you enroll in a traditional 4-year nursing program or a fast-track program that you’ll complete in 2 years, nursing school will be expensive. Before you get started, you should take stock of your personal and financial inventory. Can you afford to go to school full-time or do you have to work to pay your way through college? Do you qualify for financial aid? Can you afford to take out a personal loan? Did you explore all sources of grants and scholarships? Will your current employer be willing to foot the bill, or part of it, for your nursing education? Start by searching for ways to lower the cost of education. One of the best ways to do this is through a public college or university – private schools cost more. Fortunately, there are a few quality public nursing schools in Arizona. Determine how much your education will cost to calculate the financing you’ll need. Use a broad approach and consider the full cost of attendance, which will include living expenses, books, transportation, clinical supplies, tuition, and fees. By assessing your financial needs before you set foot in college, you’ll be better able to devise a plan. 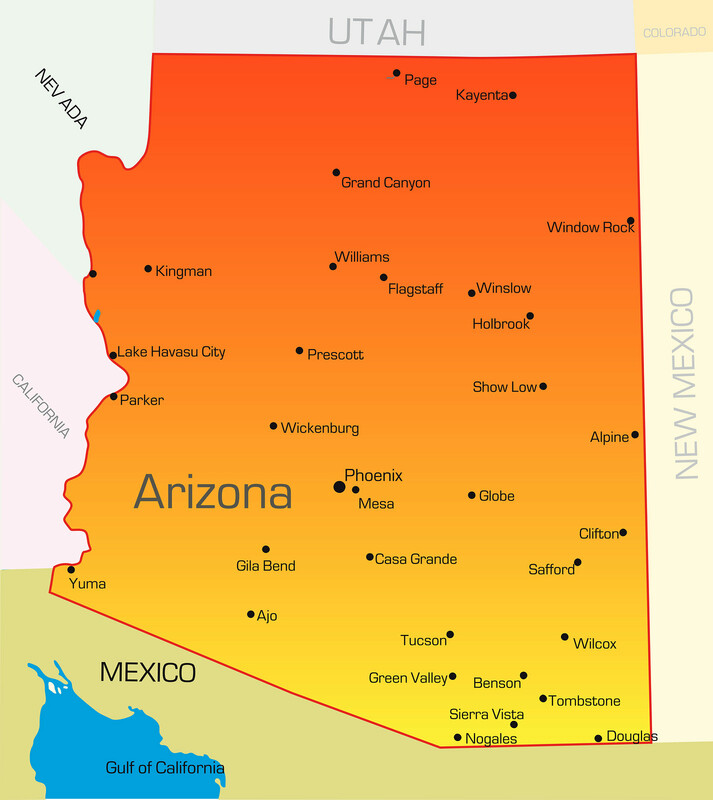 The average cost of tuition for a four-year BSN degree in Arizona is $28,500. To calculate your total cost of attendance, carefully consider all the expenses you’ll be responsible for during that period. Deduct the assistance you’ll receive from your employer, grants, and scholarships before applying for federal aid or a private loan. A BSN degree requires a greater time and financial commitment than an associate’s degree, but the investment will provide worthwhile dividends. The extra time and money will provide the skills to broaden your nursing career and outlook. The BSN will open the doors of opportunity if you want to reach your full potential and advance to specialized fields in nursing. The BSN curriculum provides a greater depth of knowledge in health assessment, communication, public health, leadership, and humanities than the associate’s degree. This advanced knowledge will give students a greater understanding of nursing management and the factors that influence patient care. Apart from theoretical principles, students are exposed to varied clinical experiences, including work in community settings, nursing homes, and outpatient clinics. BSN graduates have a wider spectrum of job opportunities as employers prefer nurses with this degree. Your BSN will make you an ideal candidate for promotion to administrative and management positions. BSN-prepared nurses can teach students enrolled in licensed practical nursing and certified nursing assistant programs. They can also use the degree as a springboard to advanced practice nursing with further education. With the Institute of Medicine recommending that 80 percent of nurses hold a BSN degree by 2020, this degree will be the wave of the future. Nurses today have expanded roles and must manage patients with more complex and diverse illnesses than those of previous generations. The BSN provides the preparation needed to confront the issues graduates will face in various health care settings. Check out the BSN programs and NCLEX-RN pass rates in Arizona to improve your job prospects and lay the foundation for advanced study.